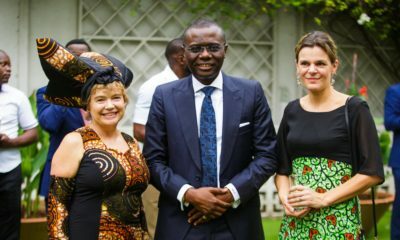 Lasisi Elenu, Laure Beaufils celebrate World Menstruation Day! 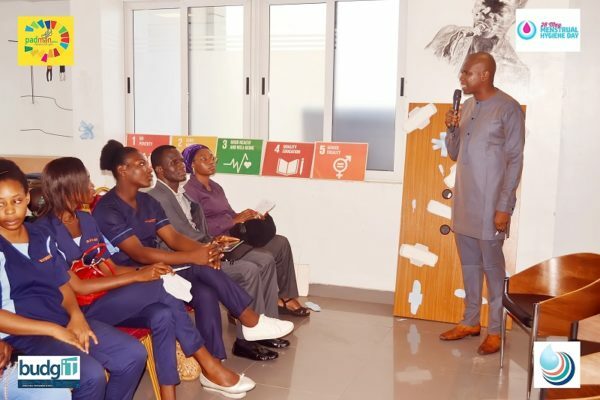 On Thursday, 24th of May, 2018 PadMan Africa hosted the PeriodConf2018Lagos at the Civic hive, Yaba, Lagos, in celebration of the May 28 World Menstrual Hygiene Day. This year’s theme was; “No more limit for the girl child”. The one day event was set to address menstrual hygiene management practices in relation to health, education, economic and psychosocial outcome in Nigeria, bringing together different organisations, individuals, professionals, stakeholders and students from different walks of life to discuss, educate each other and learn about menstruation and other menstrual related issues. Different panels with different speakers were set up to address different aspects of menstruation as it’s an overall occurrence that affects the female life all-round. Members on one of the panel discussion tagged; ‘Men in Menstruation Matters’ were; Instagram’s Sensation, Lasisi Elenu, whose real name is Nosa Afolabi, Dream from the Slums, Isaac Omoyele and Tobi Akinnike of Young Protégé leadership foundation. Each of them shared their experiences growing up with their mothers and sisters, having to understand the menstrual cycle and partake in all its “drama”. The conclusion of the session was that everyone – both male and female from the age they can understand their bodies (which could be as early as 5 years old), including adolescents and adults – should be educated about menstruation and the right approach to it. 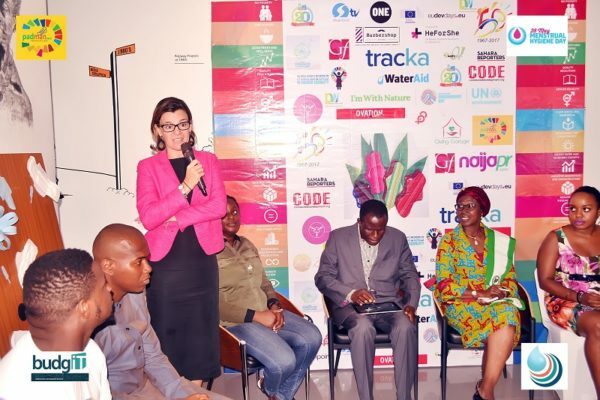 On another panel discussion addressing the social innovation concerning menstruation was the British Deputy High Commissioner to Nigeria, also the diplomatic host of the event – Laure Beaufils – who also shared her personal experience growing up and starting menstruation in her household. She talked about how people shy away from an occurrence that is natural and a part of our lives and read some core part of the publication by Duchess of Sussex on “how periods affects potentials”. 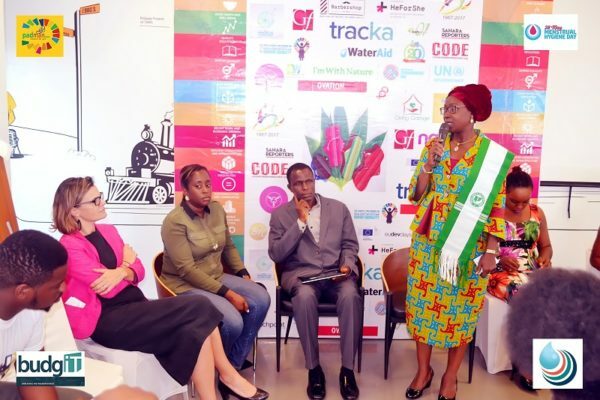 Afterward, eco-friendly pads and board games designed to educate the young ones on menstrual hygiene were given out to the students and youths present at the conference by the high commissioner alongside the President, MWAN Lagos. Other individuals present on the panel were Olumide Idowu from Climate Wednesday, Latifu Nojimu from Lagos State College of Health Technology, Olabisi Erinosho of Shenomics Africa, Banke Ajagunna of Décor Nigeria, Jennifer Uchendu of Susty Vibes, Esohe Osinski of BudgIT, Seun Dosunmu of Across All Initiative for Mental Health & Stigma Education and Dr Omowunmi Bakare from Medical Women Association of Nigeria (Lagos BRANCH). Yomi Ogunwale also gave a statistics which stated that about 60% of out-of-school-children today are girls. He said this has made him – as the project lead of Eduplana– and his team to work for the girl child education – the importance of girl’s hygiene and the availability of a private & dignified space at school for girls to take care of their hygiene to enable them stay in school until 12th grade, leveraging on Britain’s foreign secretary global initiative: ‘Leave No Girl Behind-12 Years of Quality Education’. In this vain, all sectors and stakeholders were brought on board to be part of this innovation chat. As part of the Celebration, there was a movie screening on the Menstrual Man and Snippets of the Padman Movie which tells a remarkable story about a school dropout turned visionary who revolutionized menstrual hygiene management in India. The film underscores the importance of empowering women to combat poverty, and the power in every individual to make a difference. We also had Bolarinwa Iyanu of Civic Hive who gave a welcome address on Evaluating Civic Technology Design for Menstrual Hygiene Management and why Civic Hive is open to social innovations like Padman Africa. 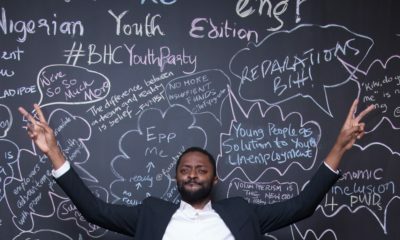 There was also a sponsor address by Gabriel Okeowo of BudgIT on crowdfunding, Atiku Samuel shared how the Abacha Loot can help with Education and Period Poverty while Kehinde Obadare of Tracka did justice on community interventions, the role of active citizens and how the communities should take menstrual hygiene management seriously by taking their destinies into their own hands. There was a music performance by Flabby to liven up the celebration.